Deep garnet red. Rich nose with layers of red berries, cassis, damp herbs, eucalyptus, underbrush and damp earth. Well rounded with medium tannins (6/10) and medium to medium plus bodied. Rich palate with layers of black fruits, dark spices, damp loamy earth, cherries and black plums. Long and plush finish. 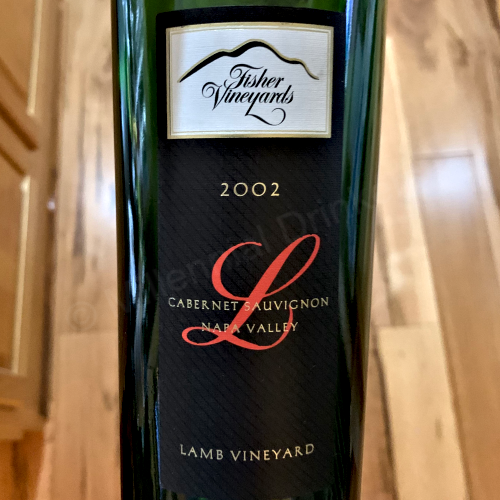 Always love wines from the Lamb Vineyard in Napa Valley and this was no exception. Made up of 100% Cabernet Sauvignon from the Lamb Vineyard up near Howell Mountain. Aged for 21 months in 100% new French oak barrels (Taransaud). Only 14.0% alcohol and only 340 cases produced. Thank you Chris for helping us through the wines! $$$$ - Purchased at RARE Steakhouse in Washington, DC for 50% off bottle night (every Sunday) for $135.00. Recent vintage retails for around $150.00.